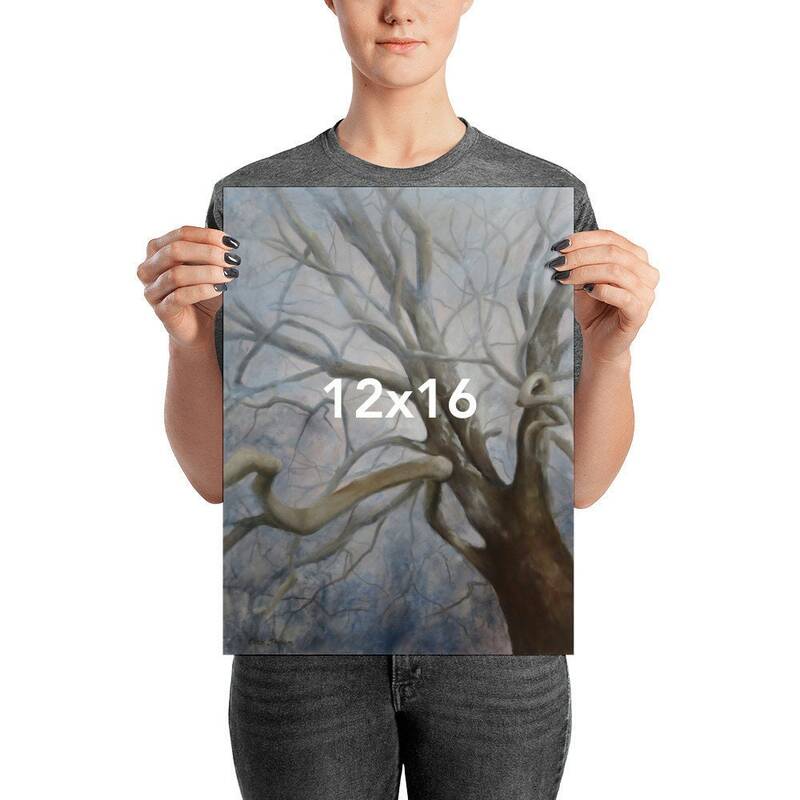 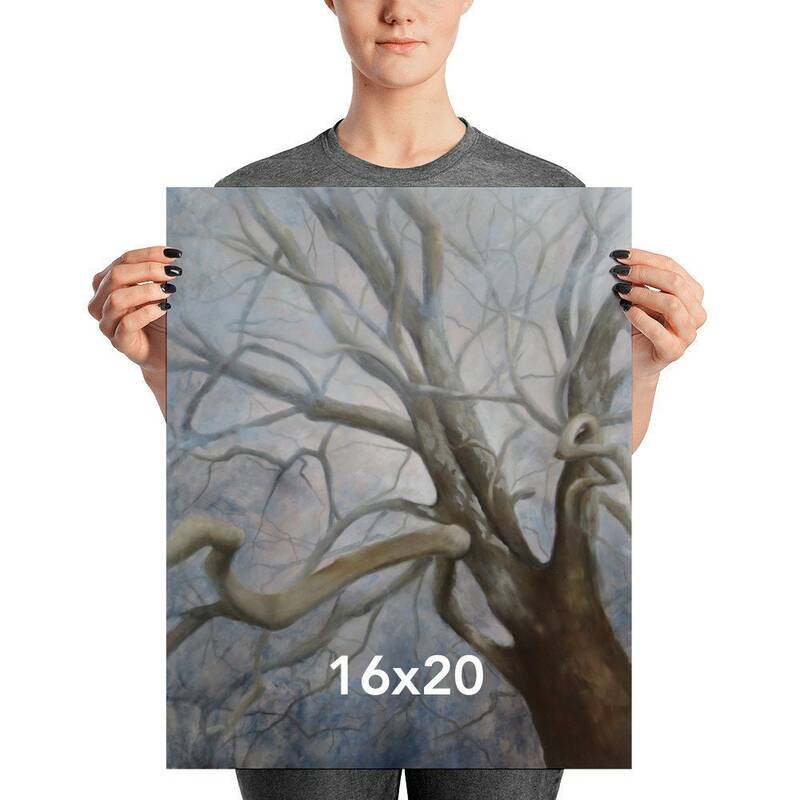 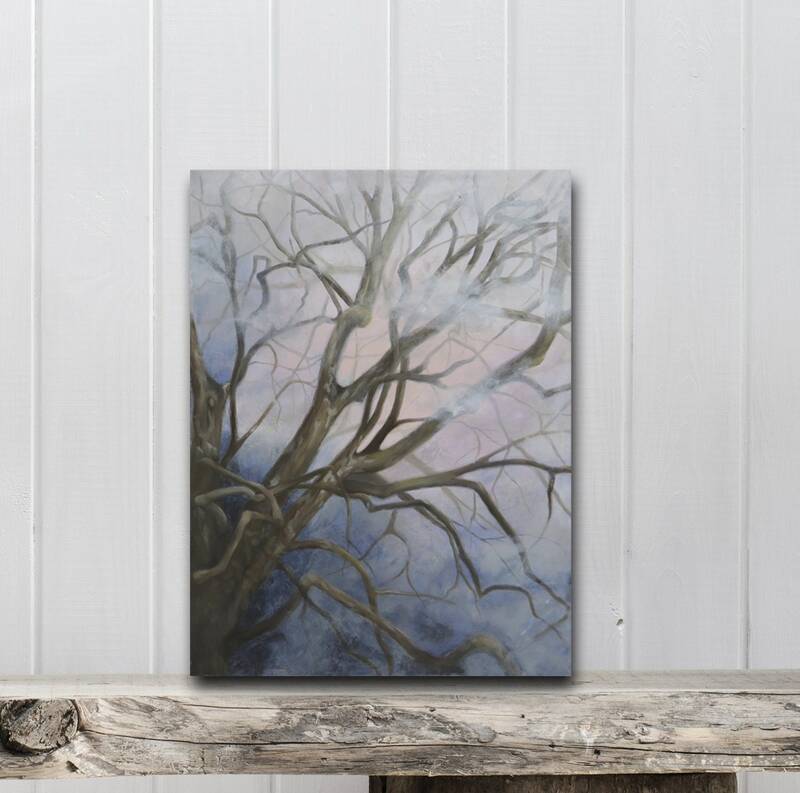 Wall Art PRINT of an original painting of a tree within a moody foggy atmosphere. 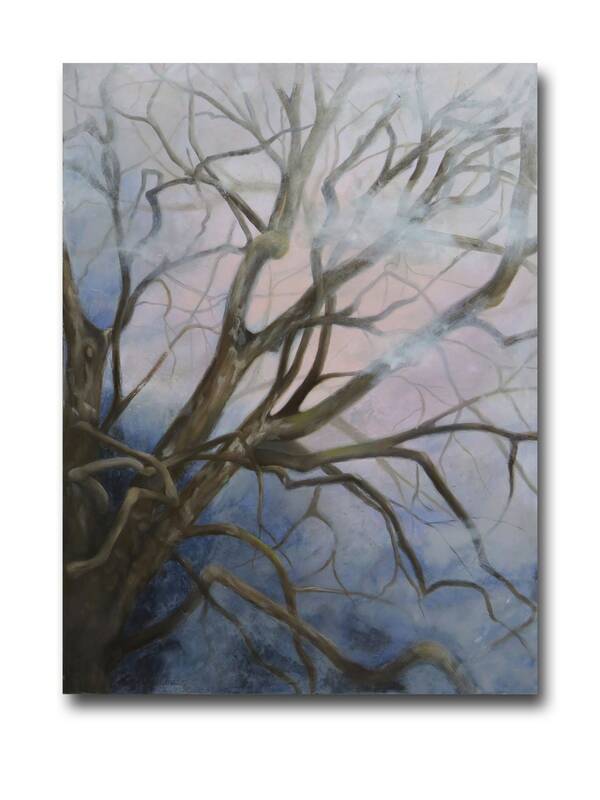 The original was painted with multiple layers of oils mixed with cold wax. 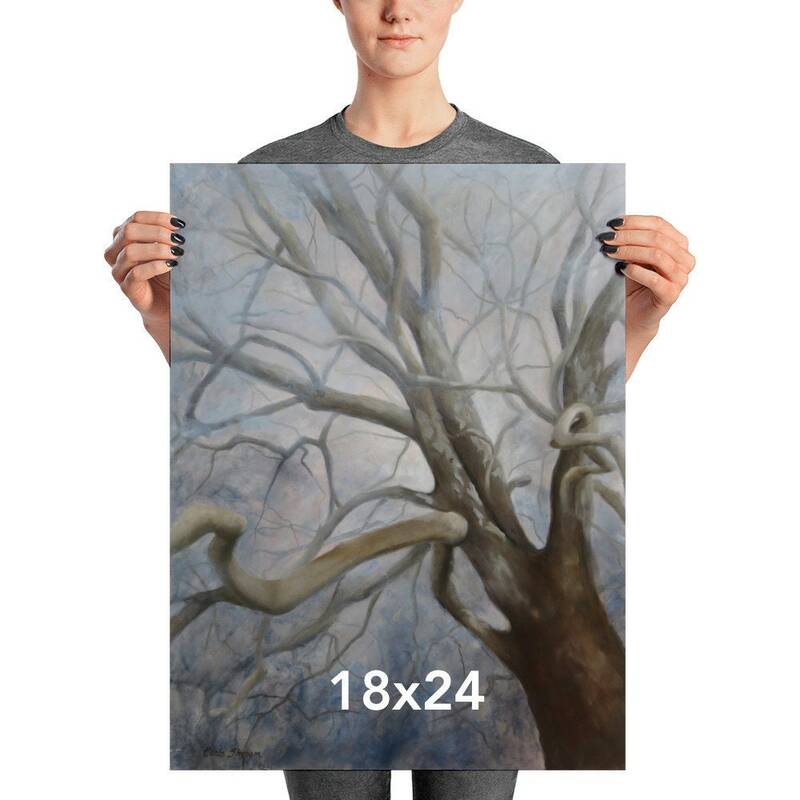 The layers can even be seen in the reproduction prints. 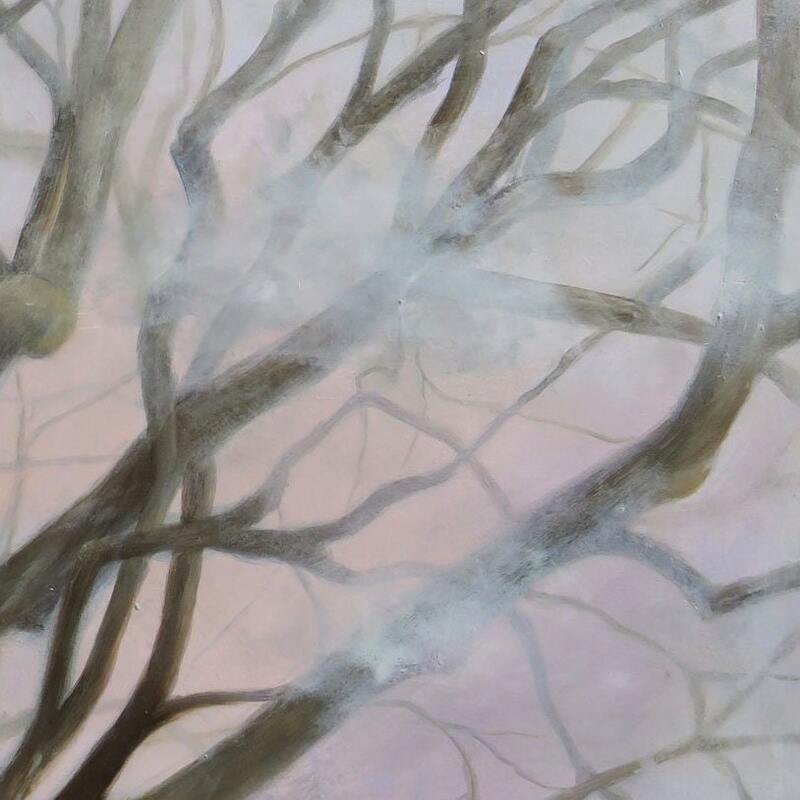 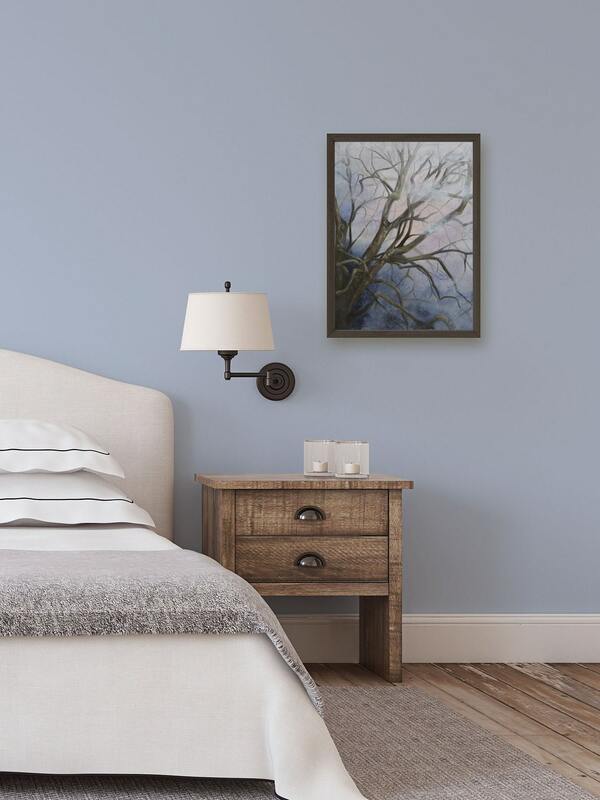 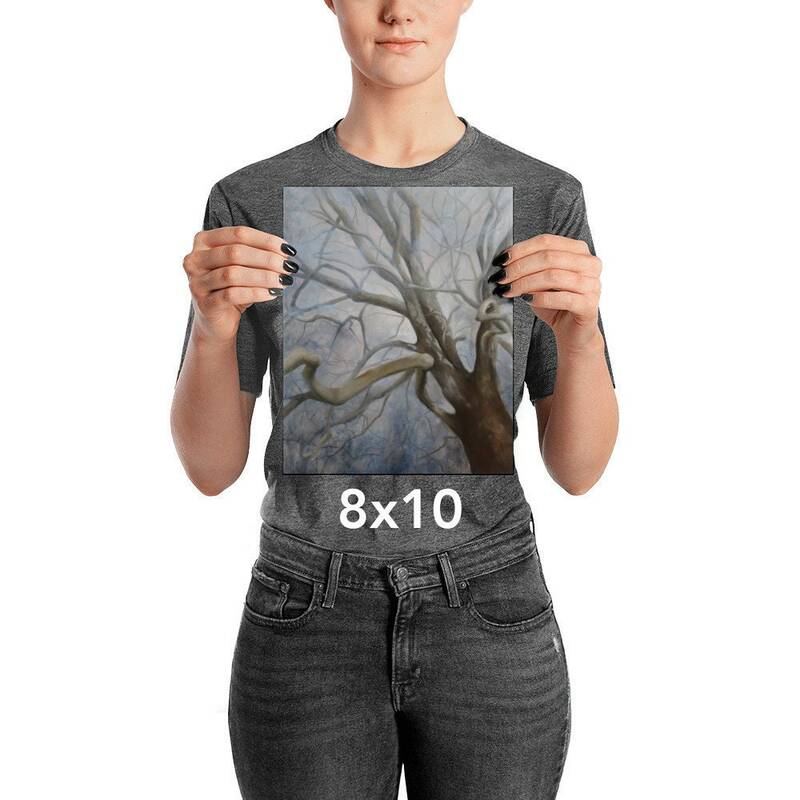 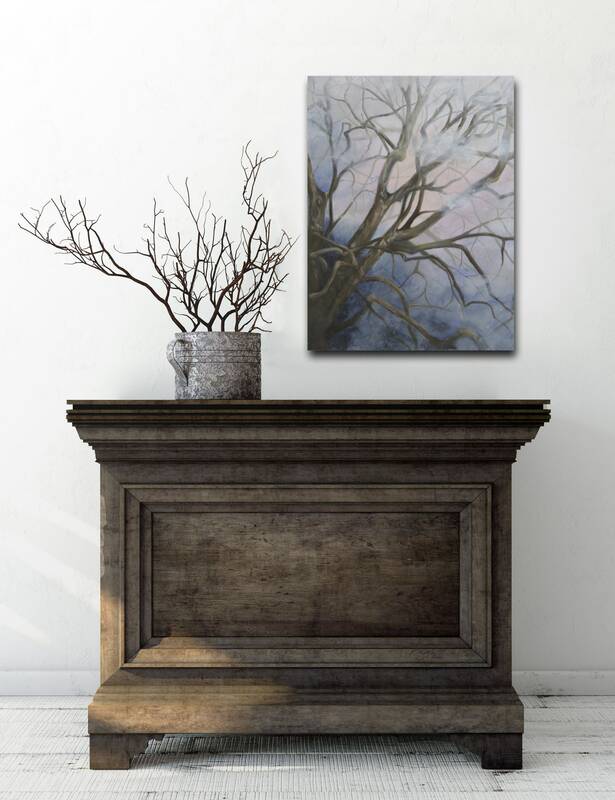 This is one in a series of three oil paintings in the "Branches Collection" designed and painted by artist Carla Thomson.